Ask fellow campers about "Isleta Lakes & RV Park" and nearby attractions. We had a level, gravel, pull through, FHU site that was satellite friendly. The Wi-Fi worked well enough for our minimal (e-mail and web surfing) needs. The bathrooms were clean while we were here. I did not see any recycling. We camped at Isleta Lakes & RV Park in a Motorhome. Not my first review of this park, I am here frequently. This is my second stay when it has rained - not good. Earlier in the year I was in with a friend and had to deliver him & his wife to their site, the entire park was flooded. I am in town on business & it's rained two days. I currently have 3-4 inches of water at my front door. I have to carry my dog to and from potty breaks. The park needs to spend some money on gravel for the dirt roads. I'll spend days getting the mud from the 5W & truck. The park needs to spend some money on gravel for the roads the roads. Maintenance has gone down hill, there are goat heads "stickers" every where. 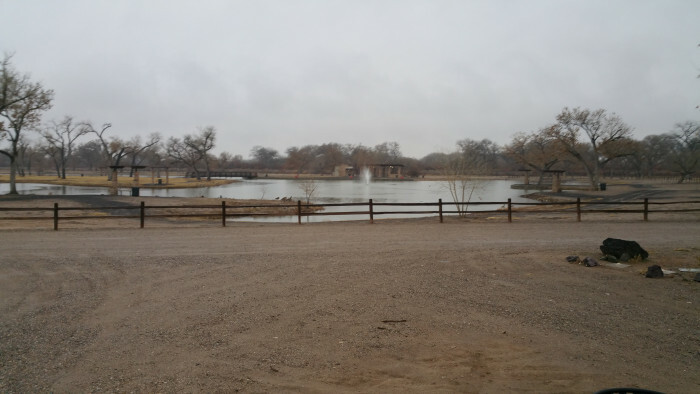 We camped at Isleta Lakes & RV Park in a Fifth Wheel. Go right out at the top of the hill to Bosque Farms NM about 6 miles on 47. Do not go to Tractor Supply for propane, they "filled" my empty tank with 2.5 gallons. I said it's not full and was told it was. Just a short way past is a Feed store that sells propane, another 3.8 gallons and I had a full tank. Bosque Farms has fast food, Jiffy lube, a grocery store etc. We like this park as it is close to my relatives in the South Valley of Albuquerque. We stay here quite often and I see improvement every time we stay. This time there were nice shades over the tables, decorative rock around the area; however, there is still no shade on the trailer! The trains, planes and automobiles will keep you awake though. 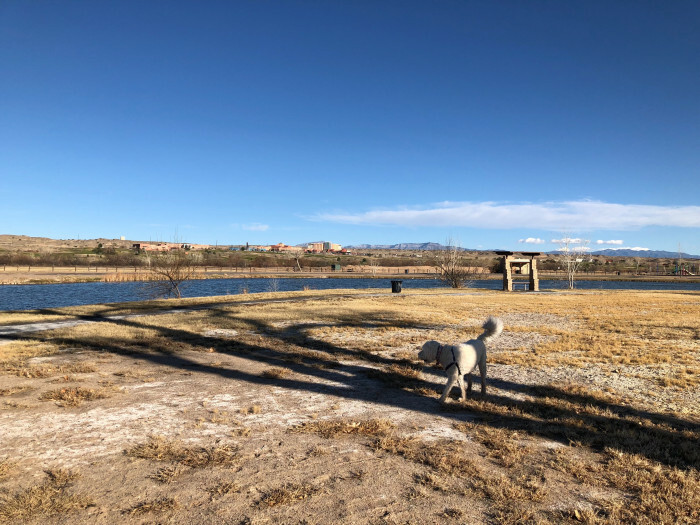 We camped at Isleta Lakes & RV Park in a Fifth Wheel. Nice campground with level lots, good wifi, Direct TV, hookups all fine. Price reflects "stay two nights, get third free". We stayed 6 nights so got 2 nights free. No real vegetation except around the two lakes, but they did a nice job of adding some appeal with areas of small red color rock outlined by smooth stones at each site. Picnic tables are covered (although this didn't get us any shade). In the longer sites the picnic table is oddly placed well forward of the tongue of our fifth wheel and looks like it belongs to the RV next door. They have grills at each site. The lakes are right next to the camp area and popular for fishing. They sell fishing equipment and bait at the office/store. We did not use the railrunner train but you can apparently take this commuter train to Santa Fe for sight seeing. Train noise did not bother us. 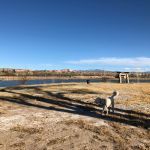 We camped at Isleta Lakes & RV Park in a Fifth Wheel. Very nice golf course next door - only $20 for seniors after 5 pm. The casino across the street was high quality and large. My go to park for any business in Albuquerque. They do not take reservations but I have never not been able to get a site. They run a special 3 nights for the price of 2, $74 for 3 nights. I was in twice this month and one site the cable TV did not work. I have a portable satellite and he south view was unobstructed. They have recently started free donuts in the club house weekend mornings. We camped at Isleta Lakes & RV Park in a Fifth Wheel. The rail runner (commuter train) stops at the gate. It will take you to Santa Fe where you can spend the day walking the plaza & it's shops and return to the park by the evening train. They also run a shuttle bus from the park to the casino. The food at the casino was good including the breakfast buffet. VA Hospitals is close by as is the UNM Hospital. Closest Walmart's in Rio Rancho. This is close to a casino so shuttle is available. A small park close by that some people fish and great to walk the dog. We camped at Isleta Lakes & RV Park in a Motorhome. Loved the park... had a couple nice ponds to walk around (watch out for the goose poop) with plenty of sitting benches. Plenty of bird life (we saw a bald eagle and a heron). They have a 24 hour shuttle to the casino - but we drove up ourselves. The freeway is near but is hardly noticeable unless you're listening for it. The airport isn't far off... but I only noticed it a couple times. The train tracks are close; and the trains do blow their horns nearby (but only a couple of times and then they're gone). We camped at Isleta Lakes & RV Park in a Motorhome. Great spot with lakes and eagles and great places to walk. Actually across the street from the casino (you can also dry camp in the parking lot at the casino), and there's a free shuttle. stayed 2 nights, 3rd was free. 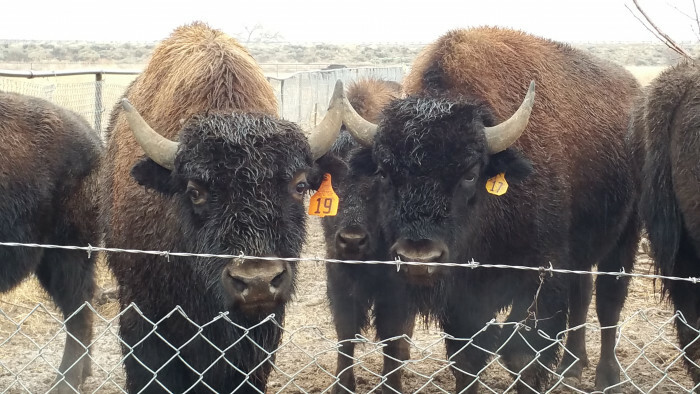 We camped at Isleta Lakes & RV Park in a Motorhome. I thought previous reviews were harsh. I found this campground to be nice and well maintained. My car battery needed a boost and security came out quickly and provided this, and refused to accept a tip. My rating on value is low because on the second night of my stay, my sister joined me, so I asked about having another car at my site. The charge was $20.00 plus tax. The clerk said that would be good for an extended period, but would be the same for just overnight. Rather pricey and they should have a lower price for just one night. We camped at Isleta Lakes & RV Park in a Motorhome. Don't bother eating at the casino, service was extremely slow, and the food was okay but not worth the wait. I'm not sure what everyone else is complaining about. We thought this park was a bargain at $23/night. The lakes are a beautiful place to stroll around, and, typical for New Mexico, there are no bugs. Staff was super friendly and helpful. We appreciated having the 24/7 manned gate at the entrance. Wifi worked well and we were able to stream video other than Friday night when the place filled up. Our only two complaints are the sewers are oddly placed at the rear of the sites (had to use an extension hose), and it is right on the train tracks. We only noticed the early morning and evening Rail Runner (commuter train) and one or two freight trains per day. They just blow their horn and get it over with - nothing drawn out. By the second night, we slept through everything with the bedroom AC fan running. Verizon works just fine here. 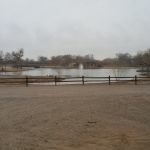 We camped at Isleta Lakes & RV Park in a Travel Trailer. 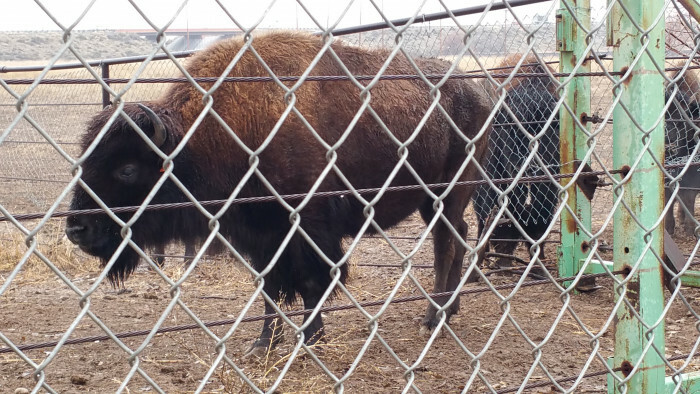 This park is part of the casino, golf course, and lake facility of this Indian reservation. The RV park seems run down and very low on priority for the tribe. Near by are several small lakes that allow fishing and have a number of people fishing there. The area in general seemed dirty and trashy although there were employees cleaning up the area. Power was good and water OK. Sewer connection WAY back to the rear on the sites, so extra length hoses are needed. Shuttle to the casino with phone call. We camped at Isleta Lakes & RV Park in a Motorhome. Associated with the Islata Casino and has a shuttle to the casino. Dirt and gravel roads that are very dusty, and sites that are set at such an angle that we stepped out our door right at our neighbors sewer. They have very nice little pavilions at each site for the picnic table, which because of the angle of the sites is far forward on the site. There was a lot of day traffic for the fishing lakes and it got very crowded on the weekend. 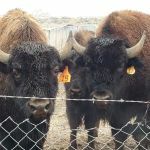 When we came back to the park during the day on Sunday we had to wait in a long line to get in, and then they sent us on a very circuitous route through the park to get to our site because they make all the traffic go one way when the park is crowded. They could have easily let us drive directly to our site without causing any problems with traffic flow. We have stayed at other "casino RV parks" and this one is not nearly as nice. It is more like the campground at a state park. It wasn't terrible, but not what we expected either. We camped at Isleta Lakes & RV Park in a Motorhome. This used to be one of our favorite parks in the Albuquerque area. Had not been here for almost 3 years as we have been traveling extensively during this time. We arrived to find that they have now removed all of the grass in the park and replaced it either with gravel or just let it go to dirt. Many of the trees at the sites are now dead so realize that park maintenance no longer exists. The nearby golf course now receives all the water and care. Where gravel has been placed at sites, weeds are virtually taking over. Amazing to us that this place has the potential to take the number one spot in rv parks in the area but apparently that is not a priority. The price shown is based on a monthly rate which we decided to pay rather than stay a week at over $200.00. Once we arrived at our site we realized we should have just booked an overnight stay and gone elsewhere. We will never return to Isleta Lakes nor the Isleta Casino so they lose twice. 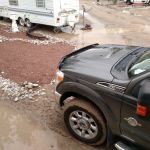 We camped at Isleta Lakes & RV Park in a Fifth Wheel. The campground is located a mile or so from the casino. It has gravel roads to all 50 sites. The sites are nice, but the utility's are not convenient to your coach. The sewer hook up is almost 20 feet from the center of the parking spot. I had to back up in the morning to drain my tanks. Now the bad part, the train tracks are about 300 feet from the closest site. Contrary to another review, the trains DO run all night. Every hour on the hour. And because you have to cross the tracks to get to the sites, the rail road is obligated to honk their horn 3-4 times at the crossing! Needless to say not much sleep. The rest rooms are located in the back of the fishing/convenience store. Which is a long walk from the sites. They do not take reservations. It's first come first serve. You pay in the morning when leaving at the convenience store. I would not stay here again. 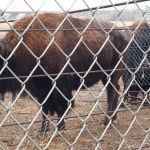 We camped at Isleta Lakes & RV Park in a Motorhome. Casino if you feel like throwing your $$ away. Terrible odds on slot machines. Sites a dirt or gravel. Some sanitary hookups are so far to the rear of the site its difficult to hookup unless you have a really long sewer hose. Also when we called for reservations we were told they didn't take reservations. Campground is close to the casino and has a shuttle (so we've been told, but never used.) There is a regional transit station at the front gate if you want to go into Albuquerque. 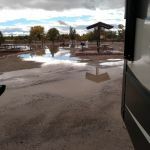 We camped at Isleta Lakes & RV Park in a Motorhome. Los Lunas - avoid crazy ABQ traffic. Iselta Pueblo has a general delivery USPS. Go to Nelson's Meats for good organic meats. OJO Optique for funky eyeglasses. Two Fools Tavern. Moxi Evol of Beauty Hair Salon. Aveda Institute here too. Mask y Mas on Central Ave. If you eat too many soapillas, your pants won't fit for long. If you are a fan of "Breaking Bad" or "Better Call Saul" there are a bunch of filming sites to see. The Nuclear Bomb museum was interesting. Old Town was nice. Very good base for seeing not only Albuquerque and the Sandia mountains, but also for day trips to Santa Fe, thanks to the light rail system. True, the system is mainly for commuters, due to the shared line with Amtrak, but it's still nice. It's also very pleasant having the casino right across the street. We ate at two of the restaurants there, Embers and Tiwa Cafe, and food, service and prices were very good at both places, and the casino itself was fine and not smokey. Are you affiliated with Isleta Lakes & RV Park ?